Using a pen and paper, this simple teaching tool gives the teacher and student an opportunity to participate together in discovering the important words and ideas in a Bible story. The Bible stories used in the examples in the instructional video above are Jacob, Esau and the Birthright and Deborah, the Judge and Samuel Becomes a Helper in the Tabernacle. Shapes of various sizes so you can write words inside the shapes. Simple shapes work best. Try circles or squares. Click for an example. Dividing the paper into sections or a grid to categorise characters or key points in the story so the sections can be filled with the words you are discussing. Click for an example. A simple picture or picture outline depicting something in the story. Again, choose a picture that has lots of space for words. Click here for an example. Choose a character or important word in the story and draw the outline of the letters of the word. Fill in the letters with the words you are discussing. Click here for an example. The teacher or students draw the selected shapes or format on the paper. Working together, fill in the spaces with words and phrases relate to the story you have just studied together. 1. Use this as a review activity after you have taught the story. 2. 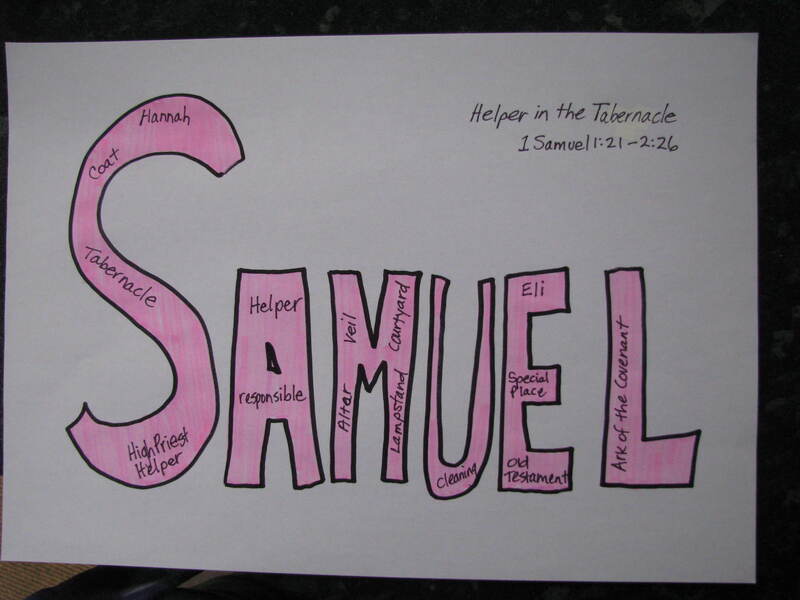 Read a verse or two from the Bible and ask the children to fill in the spaces with important words from the verse(s). 3. 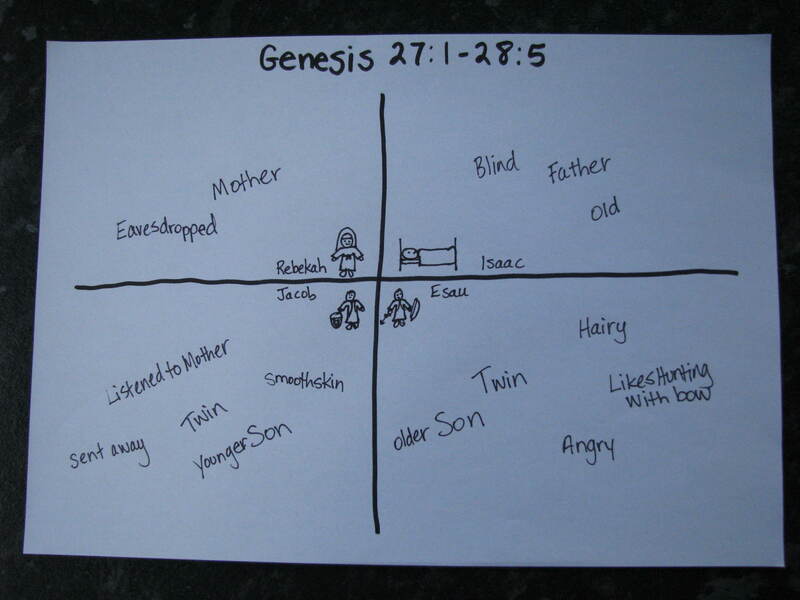 Ask a child to read the verses or review the story while YOU fill in the spaces. I find children love to “lead” the teacher. 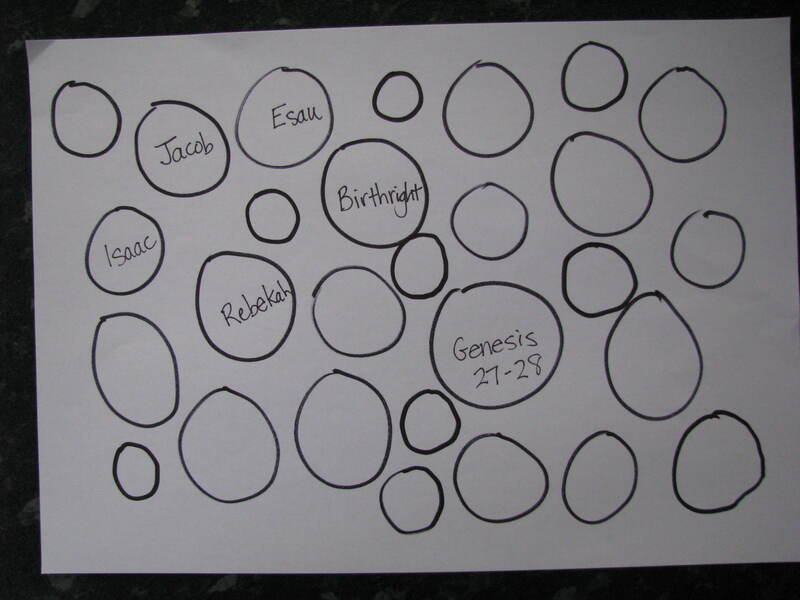 Fill the page with circles and then fill them in with thoughts and ideas you have learned in the Bible story. Draw a grid on paper and mark categories. Fill each category with with thoughts and ideas you have learned in the Bible story. Thank you, Laura. That’s a really good link to add to this post. 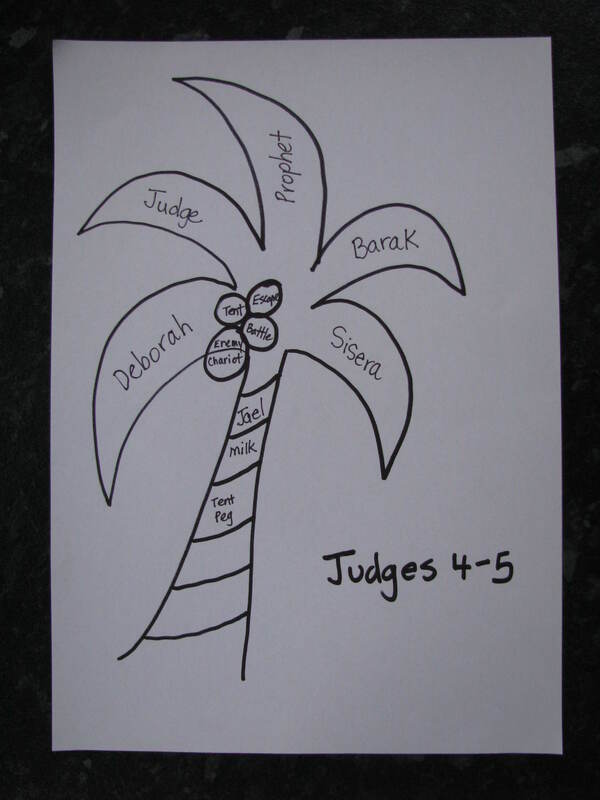 I love using these thinking maps in Bible class.